Drive in the right direction! - West Nippon Expressway Company Limited. Be sure to check the direction of the road with traffic signs and road signs. 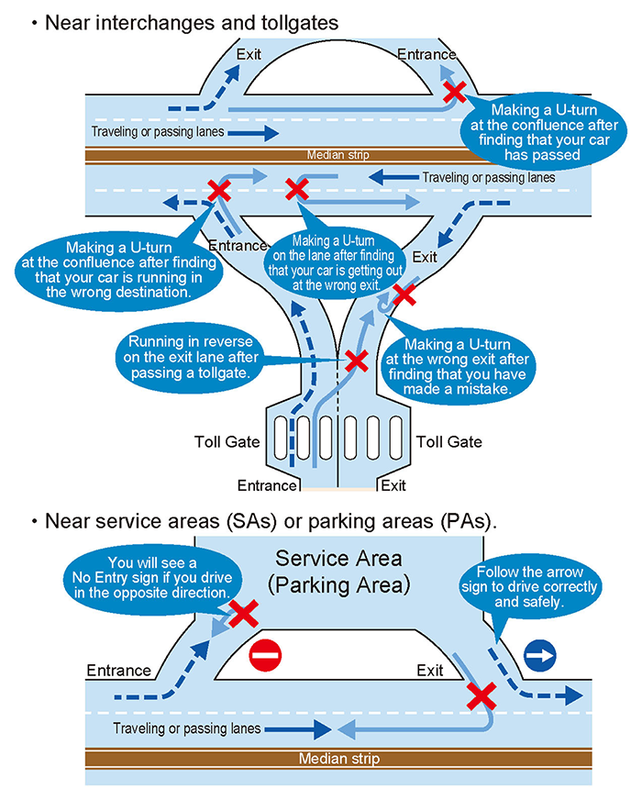 Never drive in reverse or make U-turns in the vicinity of the traveling or passing lane or tollgates. Reverse running is apt to occur	in the following areas or situations!